The last weekend of November was the official launch of my new business, Laurie Loves. I planned an event centered around entertaining for the holidays, and in less than 4 weeks, it became a reality. Friends and family were delighted with seasonal decorating ideas, inspiring entertaining concepts and they enjoyed tastings of fabulous wine and snacks. And of course there was lots of shopping from a curated selection of gifts and décor. 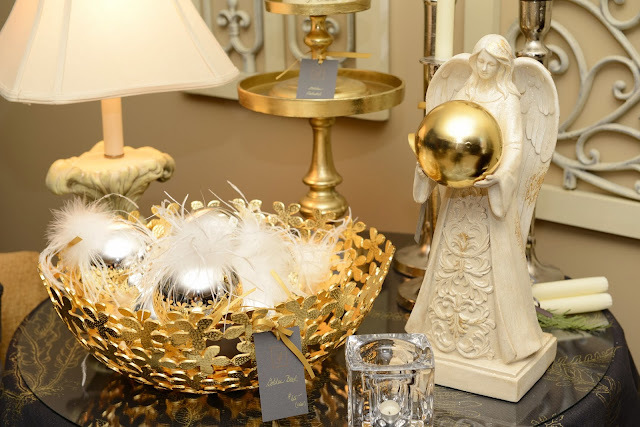 An elegant angel wrapped in a garland greeted guests at the front door. She is a nice change from the classic urns. The urns, placed at the side door, were filled with evergreens and magnolia. Fresh wreaths were available for purchase. It took almost 2 weeks decorate the house. Thank goodness I had lots of help from a few talented friends and family members. The garland on the spiral staircase. My beautiful tree featuring mixed metallics and an amazing tree topper! 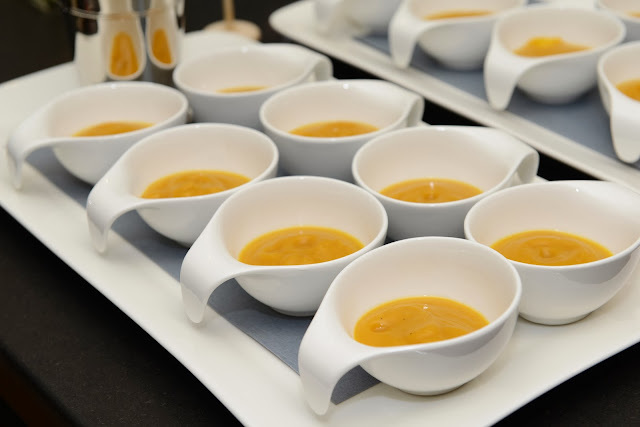 Guests enjoyed snacking on cheese, Roasted Butternut Squash Soup and Pulled Pork Petites. A sampling of wines put everyone in a festive mood! In the dining room, the table was set for an intimate dinner in the garden. Traditional red and white was the colour theme for the dessert buffet featuring home baked goodies. And throughout the house there were many goodies to purchase. The Ice Cube Votive was a top seller! My event was a great success and wouldn't have been possible without the support and help of many loved ones. Thank you to you all! I am thrilled to be able to say that "I do what I love and love what I do". Your home and event were amazing Laurie - thanks for the wonderful inspiration! Can't wait for your next one in the Spring.